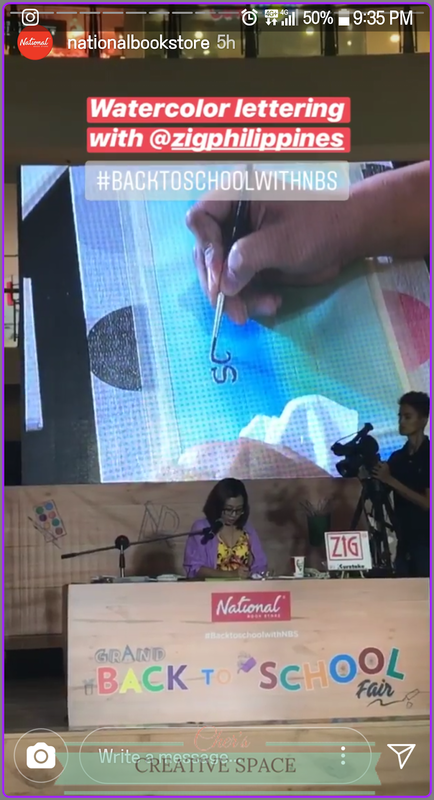 Last weekend was pretty busy for me because I did an on-stage watercolor lettering demo at the National Bookstore Back to School Fair for Zig Kuretake. I have long since been a loyal advocate of the brand and I truly love their products. 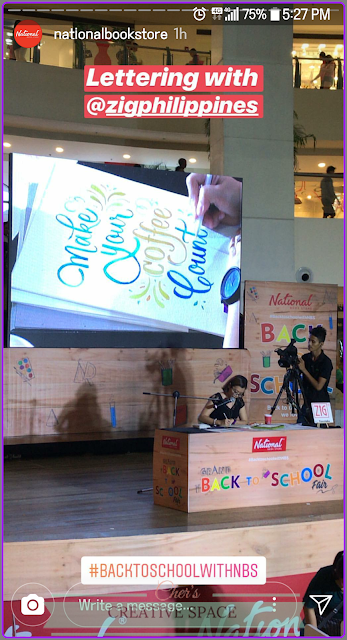 I felt really flattered and honored when I was invited to do a demo for the event and while I've already done workshops myself, I have never done a demo onstage. My watercolor lettering demo would be using Zig Kuretake Gansai Tambi watercolors since I was representing the brand Zig. What I was really scared of was that I would get a case of the nerves, aka hand shaking. So on my first day, that's exactly what happened. I was calm, I was composed and yet my hands were shaking. Grrrr, hands. You're not cooperating! Still, with hand shake and all, I managed to finish two lettering pieces. However, my morale was really down. I was disappointed with myself. I really wanted it to be good. So, I swallowed my failure and resolved to better for the second day. Second day came and I was almost late. Who knew that Sunday traffic would be much worse. I arrived at the event just in time. There was just one person doing the demo and then it would be my turn. My second onstage watercolor lettering demo wasn't bad. My hands shook just for a second but I was able to take control of it. I finished a big lettering piece just in the nick of time. I was elated that I did fairly well. My reward after the demo? A very nice cup of coffee. Yummm. Cher is a practicing Filipino Interior Designer, a full-time blogger and aspiring calligrapher with a passion to discover and learn new things. Follow her on Twitter for more updates and please like her Facebook Page too, you'll find something interesting, inspiring and fun posts there daily. Check out her Mindbox for movies and lifestyle updates. If you're an aspiring calligrapher and an art enthusiast, say hello at Cher's Creative Space.